The Columbus wrestling team ended a dominant season a few weeks back with a successful run at the state tournament finishing 4th overall out of 138 teams in the highest division, Class 3A. This accomplishment is just one of many for the Explorers as they ended their season with a 25-4 record in dual meets and placed in the top 4 in 9 tournaments across the state of Florida, including two 1st place finishes. 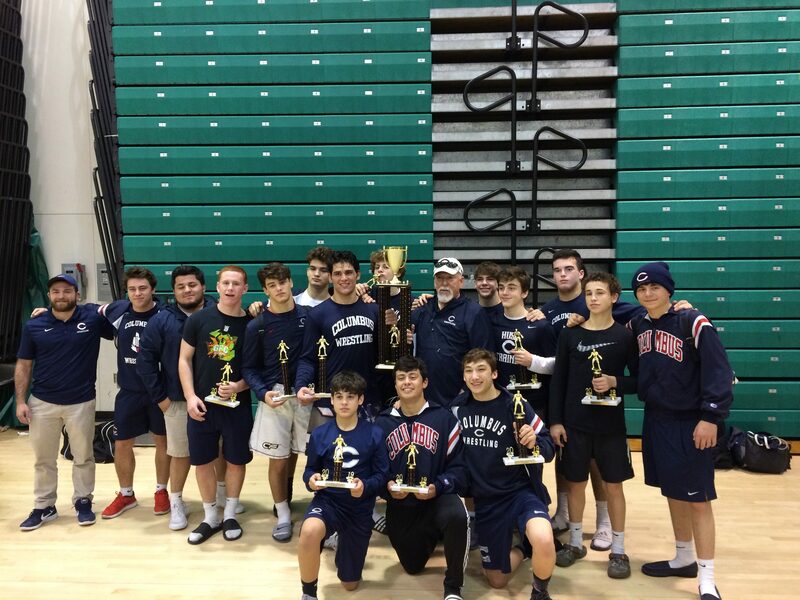 These two 1st place finishes took place in the Bradenton Manatee and Jupiter tournaments, while the Explorers also placed 3rd in the South Dade, Hialeah Gardens, Tri-County, and GMAC tournaments. 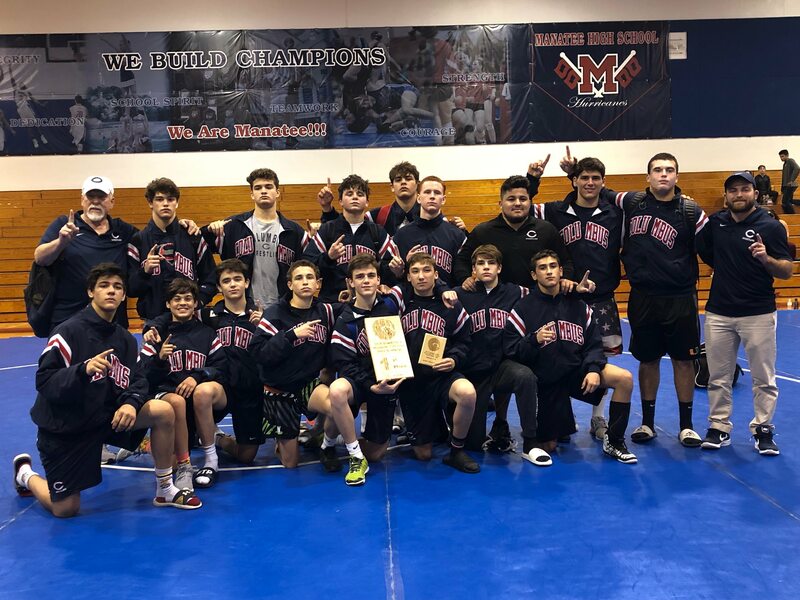 After a successful regular season, the wrestlers then showed off their talent in the playoffs finishing 2nd in the district 15 tournament, 3rd in the region 4 tournament, and ending on a 4th place finish at the state meet in Kissimmee. Eight varsity Explorers qualified for this state meet after passing the rigorous district and regional rounds. 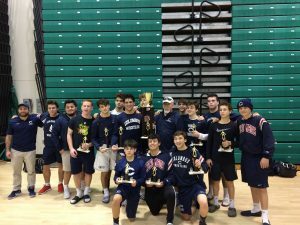 Of the qualifiers, six were seniors: Charles Huffman (120 lbs), Ryan Gonzalez (152 lbs), Carmine Dascoli (195 lbs), Justin Valdes (126 lbs), David Milton (145 lbs), and Brent Becerra (170 lbs), while the other two qualifiers were sophomores: Robert Dusendang (113 lbs) and Dylan Mira (132 lbs). After a weekend of hard fought matches, five Explorers placed in their respective weight class as Gonzalez finished 6th, Valdes finished 4th, Huffman and Dusendang finished 3rd, and finally Dascoli finished in 2nd place. 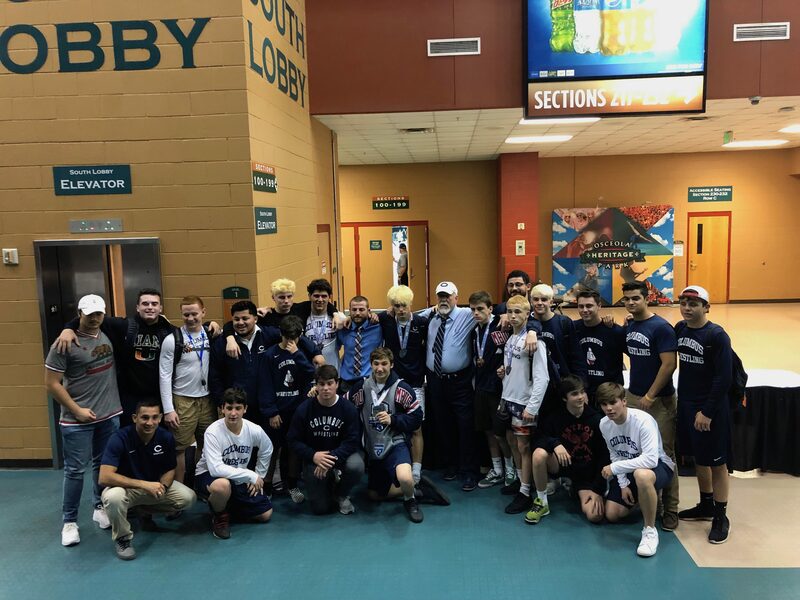 This 4th place finish at the state meet is tied for the best finish in Columbus history, and after a successful season, Coach Husk and his explorers are working to make even more history next year and win Columbus’ first ever wrestling state title.